YACHT HABOUR POINTE! This luxurious 2 bdrms 2 baths suite w/ WATER VIEWS has been totally renovated by prof. contractor. Works done to the highest quality w/exceptional marble/stone design and workmanship (wow! marble slabs in this home are commonly used only for the most expensive homes in West Vancouver). 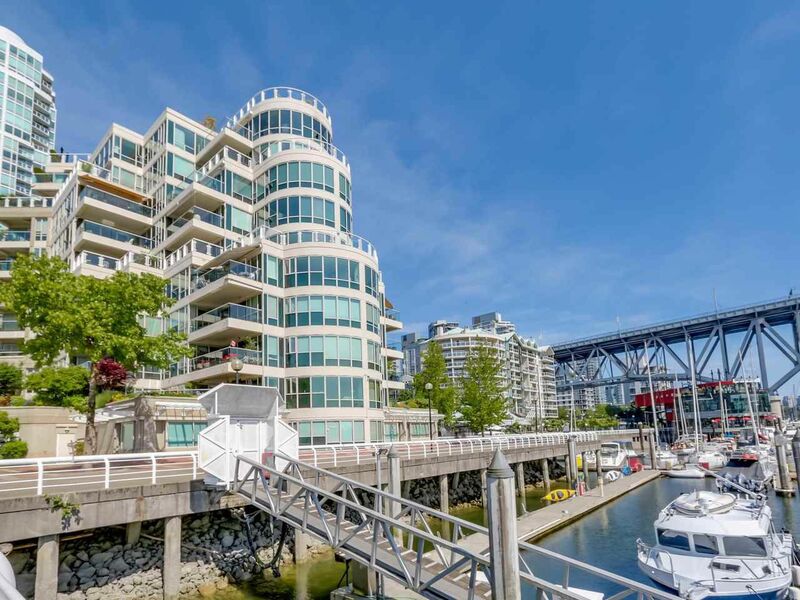 Bright open concept living & dining rooms capture amazing views of False Creek water. Spacious kitchen w/hi-end appliances Sub-Zero fridge, Bosch induction stove, Fisher& Paykel D/W. Floor-heated baths with European brand amenities. Two oversized balconies for entertainment. Large terrace off king size master bdrm for your morning coffee. Don't miss this rare opportunity!